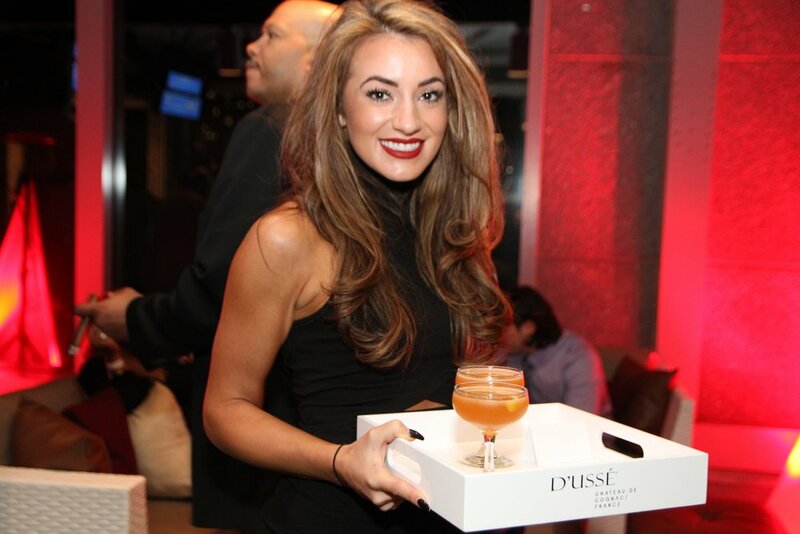 H&S PRODUCED AN IMMERSIVE EXPERIENCE CREATING THE “D’USSE LOUNGE” HIGHLIGHTING THE BRANDS LOVE OF SPORTS AND CIGARS. H&S created a turnkey, yet scalable, experiential program for D’USSE, the bold cognac co-owned by BACARDÍ and Jay Z’s RocNation. H&S developed and produced culturally led, immersive, sampling experiences rooted in the behavior and passion points of the brand’s target audience – sports and cigars. We levraged the brand’s partnership with Cohiba, to design the “D’USSE Lounge,” high end sports salons with a custom cigar shop that traveled the country, making stops at key tentpole and sporting events.